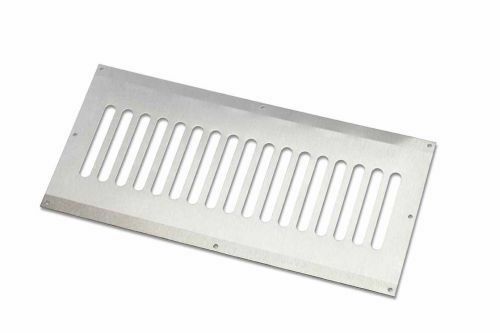 Get your flat 9" by 4" stainless steel enclosure vent to maximize the ventilation of your enclosed fire pit insert. �This quality, grade A enclosure vent not only protects you and your family from residual gases that build up inside your unit but also ensures that your product complies with Hearth Product Controls for ventilation efficiency. �You can rest assured that by incorporating this enclosure vent, your fire pit insert will run smoothly, circulating clean air to combust your pilot and burner.